Who’s Going to Win the Race to Mach 5? It was a breakthrough years in the making. 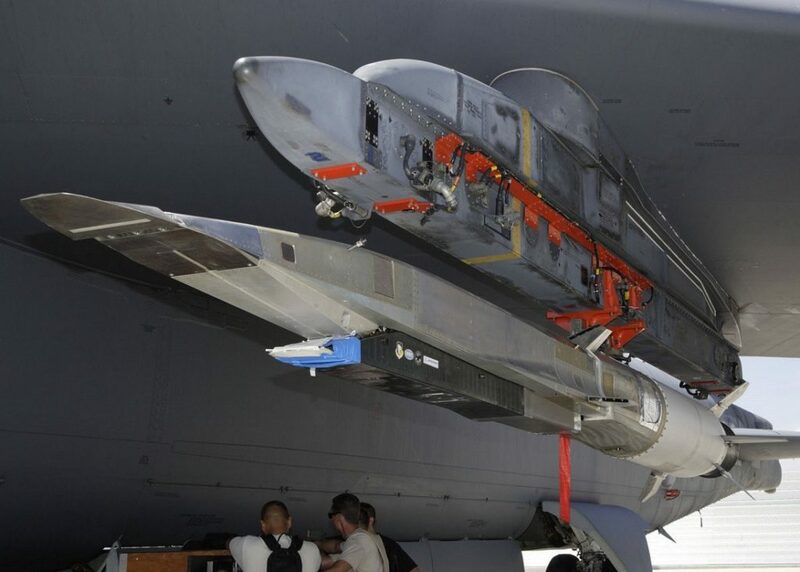 On May 1, 2013, a U.S. Air Force B-52 bomber launched an X-51A Waverider unmanned test vehicle from a wing pylon. The two-ton, missile-shaped X-51 fired a solid rocket booster, quickly accelerating to Mach 4.8. Twenty-six seconds into its flight over the Point Mogu, California, test range, the Waverider switched to an air-breathing scramjet engine — and cruised for another six minutes at Mach 5.1 before splashing into the sea. The 200-mile flight represented an “unprecedented achievement,” the Air Force announced. It was the first successful, sustained test of a Mach-5-or-faster “hypersonic” vehicle, a triumph for U.S. aerospace … and the potential trigger of a new arms race between the world’s leading air powers. As the U.S. worked towards the X-51’s successful test, China and Russia prepared their own hypersonics programs, aiming to match America’s advancements. The X-51’s success followed years of failure costing some $2 billion. For more than a decade the U.S. Air Force, Navy and Army and NASA have labored to produce a reliable hypersonic vehicle capable of controlled atmospheric flight. But test after test ended in failing components and crashed vehicles, their fatal tumbles usually attributed to the complexity of their “combined cycle” engines, which blend rockets and air-breathing motors — the former for acceleration, the latter for cruising. Having proved it can work, the X-51 — a collaboration between the Air Force Research Laboratory, NASA, the Defense Advanced Research Projects Agency, Boeing and Pratt & Whitney — could spawn new test vehicles and, eventually, a host of manned and unmanned hypersonic aircraft for military and civilian use. But the U.S. may not be alone in producing these new, high-speed aircraft. And any military advantage resulting from their development might not be America’s alone. Russia, a world leader in military-grade propulsion technology, is also working on hypersonic technology, although less successfully than the U.S. Russian government researchers had studied hypersonics as early as the 1980s, but the government suspended their work during the political and economic tumult of the late ‘80s through the early 2000s. Calling the suspension of hypersonics development “nothing less than treason,” last year Deputy Prime Minister Dmitry Rogozin announced Moscow would form a new state company devoted to Mach-5 flight. Initially the Russian military wanted its new PAK-DA bomber, still in early development, to be capable of hypersonic flight, but this year the bomber was downgraded to a subsonic design. Russian research into high-speed flight continues, however. The new hypersonics corporation is aiming to finalize its master plan for new technologies no later than this summer. “The work is not easy,” said Boris Obnosov, the government’s director of tactical missile development. China, too, is firming up its hypersonics flightplan — but faces even greater obstacles than Russia does. Where Russian industry has decades of experience designing and producing high-quality military aero-engines, Chinese industry struggles with even basic engine design. To date, all Chinese warplanes are powered by imported Russian or other foreign engines or by poor copies of Russian engines. But that doesn’t mean China isn’t trying. For years there have been rumors — and at least one blurry photo — of a rudimentary Chinese rocket-powered vehicle called the Shenlong. While apparently meant as a low-orbit spacecraft, “Shenlong would also likely help China with the development of hypersonic aircraft,” analyst Richard Fisher wrote for the International Assessment and Strategy Center. And in May 2012 the state-owned China Academy of Sciences Institute of Mechanics tested for the first time a new wind tunnel capable of simulating hypersonic speeds up to Mach 9, according to a Pentagon report on Chinese military developments released in May. The new wind tunnel is reportedly the largest in the world, according to the report. One indication that China is moving forward with hypersonics could be the acquisition, by Beijing, of related technologies from Russia, Europe or even the U.S. by legal or illicit means. “China often pursues these foreign technologies for the purpose of reverse engineering or to supplement indigenous military modernization efforts,” the Pentagon report notes. America’s own next moves are unclear. The X-51 model has been retired following its triumphal May test, but new high-speed test vehicles are sure to follow. The Pentagon has long wanted a conventional hypersonic strike missile capable of being launched by submarines — a potential first real-world application of the technologies proved in part by the Waverider. It should come as no surprise if Russia and China also begin developing such weapons as a downpayment on future fleets of Mach-5 warplanes. Originally published in Combat Aircraft.